An upright flowering stalk with leaves extending from the nodes of the stem. 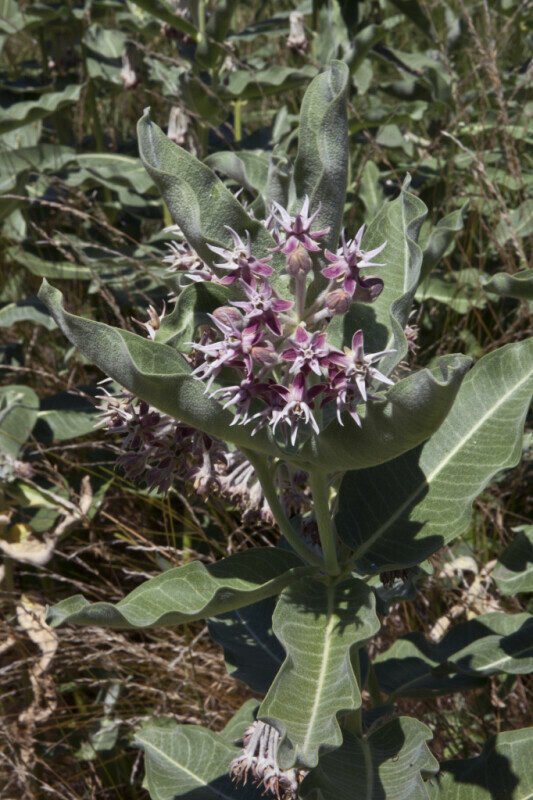 This picture is of a showy milkweed (Asclepias speciosa) and was taken at the UC Davis Arboretum. WARNING: You are about to download a 34.1 MB TIFF!